This new filter module is created to accommodate the need to meet Railway standards of EN50121-3-2: 2015 Output Specifications. With just one module, we save the trouble for the customers to meet the necessary requirements for Railway applications. 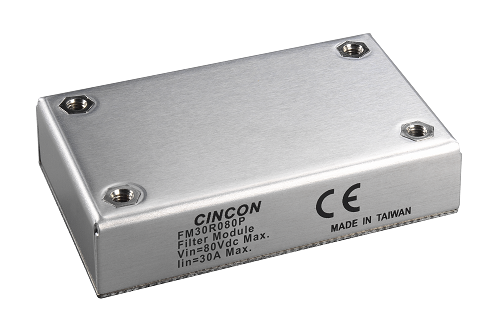 This module is suitable for any of our Cincon DC-DC converter that has output current less than 30A, and voltage lower than 80Vdc. Also, this filter module offers an Isolation Voltage of 1000 Vdc, and housed within an industry standard quarter brick size of 2.28”x1.45”.